Do I App or do iBook? Apple announced recently that they’ve followed Amazon’s lead and iBooks can now have audio and video embedded in them. So with increased functionality in iBooks, I thought it worth pointing out the pros & cons of publishing your ‘work’ as an iBook or as an App. If your content is essentially uni-directional – i.e. 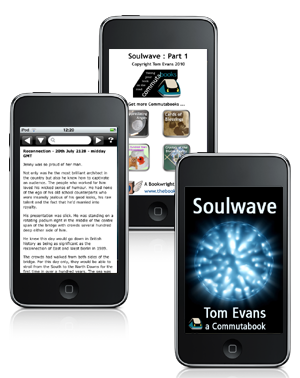 read, listen or watch only – then iBook is a good route. It is worth doing a Kindle version too though to get on both platforms at not much extra complexity or cost. The production costs for a text-only iBook are in the low hundreds of dollars and for a multimedia iBook (if you have the assets), about 20% of the cost of producing an app. This means you will be able to get your investment back quickly for a reasonably popular title. At the moment, authors and publishers need a US Tax ID to submit self-published works – this will change shortly. Note that Storyist software is brilliant at generating compliant ePub files as is now Apple Pages. Note also that various aggregator sites, like Smashwords and Lulu, allow international self-published authors to submit to the iBookstore. They will have to catch up a little to support the new format though. An app is a completely different kettle of bananas. When you build an app, you can access all the features of the iPhone, iPod touch and iPad operating system. Apps are interactive and bi-directional. In my opinion, they should be used to either augment a conventional or ebook OR to extend the idea of what a book is about in the first place. Now before you get excited, your investment in an app like these starts at a few thousand dollars. Get it right though and you have access to tens of millions of owners of a device. Even if you give your app away, the exposure alone can be worth it. Note also that the other advantage of an App over an iBook is the separate listing on the iTunes store on the web, as opposed to within the iBookstore which is only accessed via the device at the moment. Your app also appear as an icon on a device as opposed to a book inside an app. This is perhaps not of great significance but you do have your own App URL and it seems to get great Google rankings too. Note also that as Apple and others allow more features of HTML5 to be introduced, this gap will narrow even more … watch this space … ePub2 will be with us before you know. Great time to be an author and a publisher.